If you have an existing PSQL v12 Server Engine and are running into your maximum licensed user count, then you can increase this maximum by adding a User Count Increase (UCI). Standard UCI license counts are available in quantities of 6, 10, 20, 35, 50, 100, 250, and 500. Each engine base or UCI license can be installed to ONE server at a time. 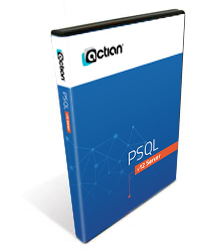 PSQL v12 Server Engine UCI licenses will work on any platform or bit level (Windows 32-bit, Windows 64-bit, Linux 64-bit, or OSX 64-bit), and you can switch platforms and bit levels at any time. For specific licensing or product questions, please see our main product page. Or, contact us for a formal quote! Not sure which license you need? Try our new Product Selector now! Licenses are valid on all platforms (Windows and Linux, 32-bit and 64-bit). The Actian part number for this Server Engine User Count Increase license is P12-340664-006-01. Licenses are valid on all platforms (Windows and Linux, 32-bit and 64-bit). The Actian part number for this Server Engine User Count Increase license is P12-340664-010-01. Licenses are valid on all platforms (Windows and Linux, 32-bit and 64-bit). The Actian part number for this Server Engine User Count Increase license is P12-340664-020-01. Licenses are valid on all platforms (Windows and Linux, 32-bit and 64-bit). The Actian part number for this Server Engine User Count Increase license is P12-340664-035-01. Licenses are valid on all platforms (Windows and Linux, 32-bit and 64-bit). The Actian part number for this Server Engine User Count Increase license is P12-340664-050-01. Licenses are valid on all platforms (Windows and Linux, 32-bit and 64-bit). The Actian part number for this Server Engine User Count Increase license is P12-340664-100-01. Licenses are valid on all platforms (Windows and Linux, 32-bit and 64-bit). The Actian part number for this Server Engine User Count Increase license is P12-340664-250-01. Licenses are valid on all platforms (Windows and Linux, 32-bit and 64-bit). The Actian part number for this Server Engine User Count Increase license is P12-340664-500-01.